After reading Princess Journals’ fried banana the other day, I knew that I just had to make some myself. While I like fried banana fritters or goreng pisang, I love kuih kodok. I do not know the best way to name kuih kodok in English, but they are basically bananas all mashed up with flour, eggs, sugar, and then deep fried. They are usually round in shape but with uneven surface, hence the name kodok, meaning toad in Malay language. In Malaysia, pisang awak (the ones with black seeds inside the flesh) is often used for kuih kodok. 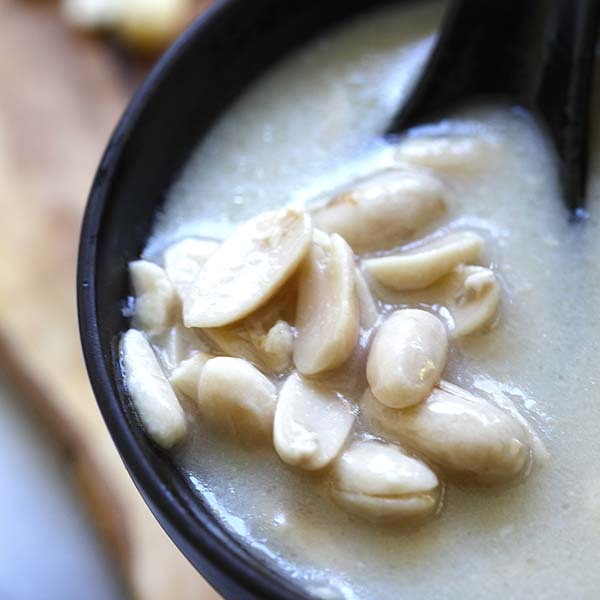 If you are tired of banana bread or banana cakes, try this new recipe, ala Rasa Malaysia style. They are basically bananas all mashed up with flour, eggs, sugar, and then deep fried. They are usually round in shape but with uneven surface, hence the name kodok, meaning toad in Malay language. Break the bananas (with hands) into small pieces and put them into a bowl. Add flour, egg, sugar, and some water. Use a big spoon and stir the ingredients so they are well blended. 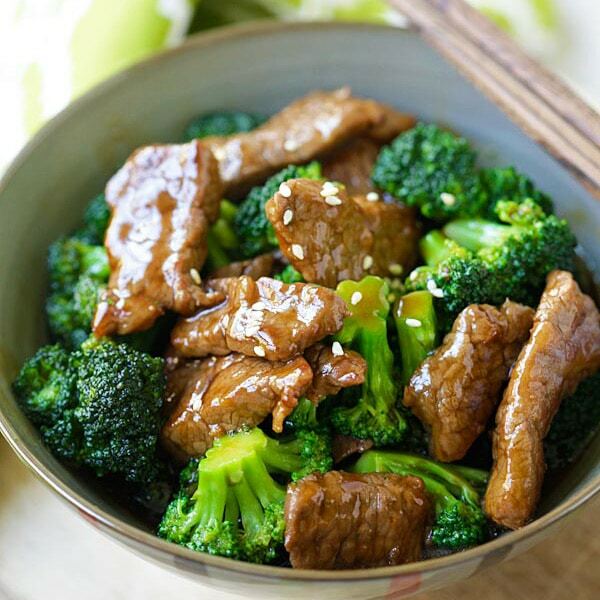 Heat up a frying pan and add some cooking oil for deep frying. Once the oil is heated, scoop up a spoonful of batter into the frying pan. Try to "shape" the batter so it's somewhat round. Deep fry until golden brown. Hi Rasa Malaysia: I have never heard of kuih kodok before even though I practically spent my whole life in Malaysia. Where did you learn all these stuff? Another name for kuih kodok is cekodok pisang. Yummy and as you can see very,very easy to make. It’s not necessary to add egg just make sure add more bananas and a pinch of salt so that they will be soft and fragrant. My nephew always dip his cekodok in sugar before eating them. Oh yes! We had to make these at school in the Convent *grin*, I noticed when we made it with some kind of pisang, maybe pisang awak, it would have purple swirls and stripes in it. Who knows why? But it was attractive, fragrant and I ate all of mine before I went home. Yours looks delicious, of course! too Yummy !!!! I promise that I will test that as soon as possible! I don’t know if you like white dessert wines like Sauternes or others, but it could be a wonderful “mariage” !!! Bravo !!! omg I loooooveee kuih kodok, less flour more bananas!!! At first I thought it is banana fritter. Seems like this is an easy-to-make-kuih. I think this should be quite delicious too. hehe. In Malay it is knowned as Jemput-Jemput. The nonyas named it Kuih Kadok. It sure looks yummy. Makes me want to make a batch too. kuih kadok is a popular kuih of the malays, right? i can’t say i like it but it’s just ok to me. in msia. the roadside seller usually use too much flour and banana flavoring rather than the real banana.sigh. thts why they dont taste tht good. Yup Kuih Kodok! One of my favourites too! Penangites call it kuih kodok and everytime I go back to penang, I’ll definitely visit the famous pisang goreng and kuih kodok stall near the Heng Ee school. I never heard or tried this before. Only tried goreng pisang . This reminds me of my uni days (more accurately, nights) when we’d make this as a late-night snack after hours of studying (ahem!). :-) We’ll make them, then ‘jemput’ all the floor-mates to come share them! Ben – I am lucky because my late grandmother was a master in all kinds of kuih. She was selling kuih before. So growing up, I was exposed to a lot of kuih. Msiangirl – you are so right, I almost forgot about the purple veins in pisang awak. Somehow pisang awak does taste a lot better when fried compared to others. Sourrain – yes, less flour more bananas. Unka – OK, less bananas more flour for you. Kenny – head over to a Malay kuih stall ASAP and ask for them. Hehe. Rosa – yeah, I was just testing out my Dole bananas and they turned out very well. Kok – yes, very easy and you can make it too. Aiyah Nyonya – thanks for telling me the Malay name. I have always known them as kuih kodok, probably because I came from a Nyonya family? Lucia – the good ones are really good. 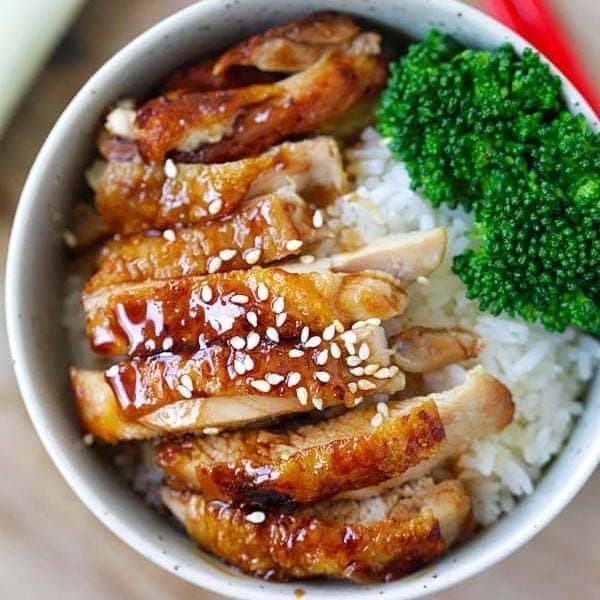 You should try the one near Heng Gee high school. Princess – betul ke? Flavoring? Ewww. noooooooooooo, jemput-jemput and kuih kodok are two different things! jemput-jemput is basically flour with assorted ingredients like sliced chillies and/or sliced onions and/or anchovies. jemput-jemput is never -NEVER- with bananas. hahaha. some malay people call it cengkodok. my family call it cengkodok. i never knew why… maybe you should add some history titbits of these food? haha. The last picture of the kuih kodok so yummy lah…..how? Now where to find kuih kodok? Have to drive out…. Wahhhh sedapnya! I am such a fan of your blog but segan to leave message lah. Have you tried really ripe plantains for pisang goreng and cekodok? It is like pisang raja in Msia and you should only use it when the skin is black with ripeness. I’ve had this one at a restaurant in Seattle and thought it was one of the most delicious desserts I’ve ever tasted. Oh, I’d love to try one of yours! RM, yes. most of the sellers ‘tipu’ and use flavouring. not to mention lotsa baking powder. teruk kan? its called cekodok i think. you have a variety, cekodok pisang, udang, cempedak, anything really, that tickles your fancy. they are great easy to make snacks, sweet or savoury. i am shocked that so many malaysians have never heard of it…. sigh, this must the be coffee bean and haagen daz generation….heh heh. Yes we also call it cekodok, I’m only half malaysian and grew up in the UK but my mum always made these with over ripe bananas…mmm its one of my faves and now i want some!!! Never a fan of this. Why? Because don’t like the name ‘cekodok’ and how it usually looks like, esp when there’re black spots on them. Funny weird but true. It’s been some time since I last had kuih kodok. Looking at your pics makes me long to taste some. Uneven shapes allows a larger surface area to be fried? Yep, less flour in in makes the taste better. I like it this way too. I don’t believe I’ve ever had this before. The only fried bananas I’ve had are pisang goreng and tostones (Puerto Rican smashed plantains that are deep fried). 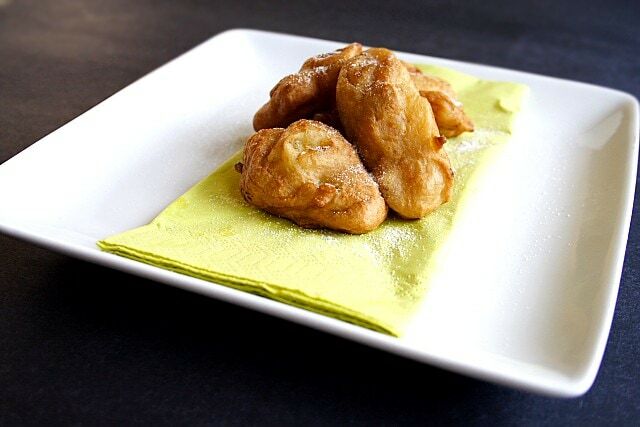 But it does resemble the banana fritters I’ve had in a Thai restaurant. They are small little nuggets and are serves on the side with a big scoup of coconut ice-cream. Yes! The timeless Chok Kodok! Love it! 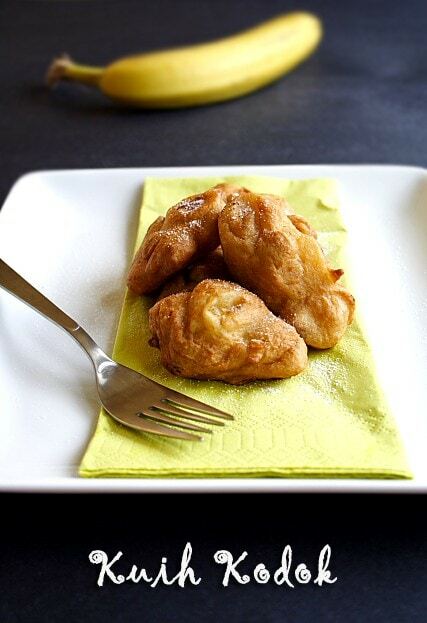 I have never made or tasted banana fritters before but they always look so tasty. The problem is my fear of deep frying things… I’ll have to get over that one day. Flower – thanks for telling me the Malay names. I learn so much from my readers…really! WMW – did you find them? Any luck? I think the flogger get-together food is better lah. Elmo – yeah, isn’t that too funny? I mean literally. WC – ooooh, sounds like fun at Saigon Bistro. Tummy – The black spots are the seeds of the pisang awak. I am the opposite, I love picking out the black seeds from the kuih kodok. LOL! Bayi – yes, less flour is better. Audrey – yes, the favorite tea time snack of our generation. i am not good in measurements when it comes to “cups”. how many grams is it for 1 cup? If You use water with icecubes in the batter the result will be far more crispy than without – same process as for swedish waffels. Let the icecubes melt in the mixture while wipping. Then dip in the bananas and fry. yum! fried banana, mmmmmmmm droooool! Arisa Go – You can use the measurement cup or you can just use the normal water cup as a reference. Cooking is about guestimate…I use my measurement cup for this recipe. how much water did you put in your banana batter? hey there.i truly love your blog.correct me if im wrong,but isnt it called kuih cokodok? Anonymous – In Penang, we call them kuih kodok, but it seems like they are also called jemput jemput, cekodok. Hope this helps. 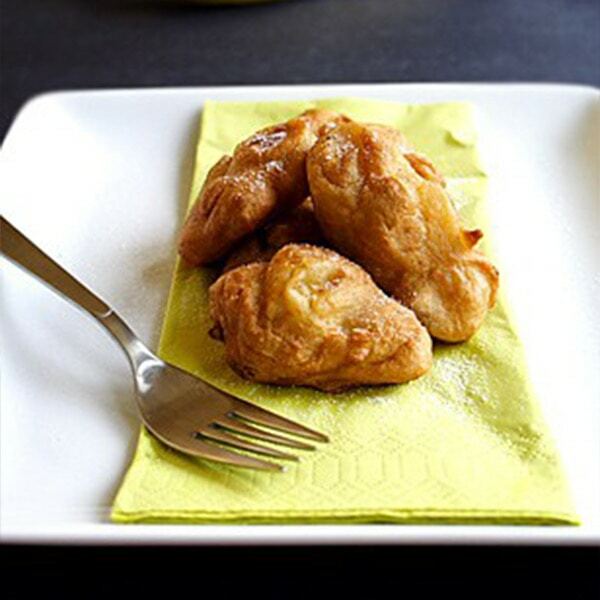 the indonesian make this banana fritter. they call it pisang goreng. I just made these, but I burt some. The inside was runny, but maybe that was because I only had two bananas or two much water. Any tips? I’d agree with the commentator who said that Americans would probably call this a banana fritter — particularly because of the mashed banana. I somehow missed this during my time in Malaysia as well, just seeing pisang goreng and roti pisang. Is it unique to Penang and northern Malaysia, maybe? As for the name “toad cake,” that’s a bit reminiscent of the English dish toad in the hole — basically Yorkshire pudding with bits of sausage playing the role of the toads. I first came across that dish in the Roald Dahl book, Danny Champion of the World and the book and toad in the hole remain family favorites — along with Kampung Boy of course. My favorite Malaysian sweet though is the pandan flavored pancake wrapped around coconut and gula melaka — but I can’t remember what it was called or find whether you have a recipe for it here. Anybody know what I mean? To Mat Saleh: The ‘pandan flavored pancake’ you were mentioning is called Kuih Ketayap/Dadar. this is one of my fav teatime/supper snack. i call it cengkodok pisang hehe. i like it to be a liiiiitle hard and with a sprinkle of salt..ooh Yummy! I made kuih kodok at a bbq and they were a huge success. thank you for sharing this kuih kodok recipe. Thanks for the recipe. I made it tonight for iftaar. My husband and I find it a bit too doughy and not sweet enough, perhaps the organic banana that I used are not that sweet in U.S. I will use less flour and add a bit more sugar if I were to make it again next time. Oh my. 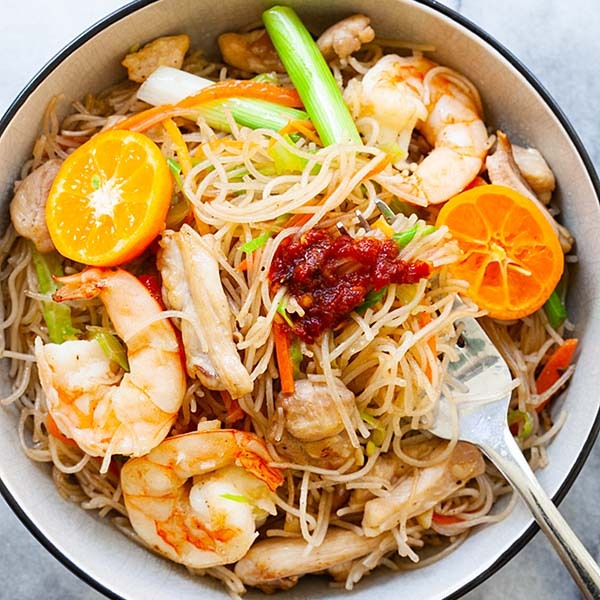 I am very surprised this recipe can be found all over Southeast Asia. 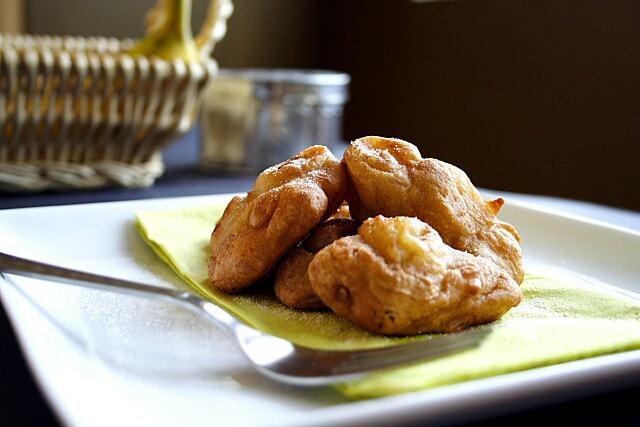 Here in the Philippines, we call these fritters “Maruya,” but we don’t mash the bananas, we slice them instead. Then we sprinkle sugar on top. I tried this tonight, but the inside wasn’t soft/mushy at all! It was just like a big hunk of dough. Any ideas what went wrong? Can I substitute the plain flour with wholemeal flour instead? Hi Joe – I am not sure what wholemeal flour is composed of, sorry I can’t advise on you this. Unbelievable. I love this so much but have not seen its recipe before. Thanks. Hey, just want to share,one secret ingredient if you want the cekocok/Kuih kodok round in shape, just put like a teaspoon or so of baking powder, it will puff and get rounder. And also if you want harder texture mix some tepung beras. Learned it from my mum. Nina – thanks for your tips and secret! I appreciate it. A little bit of MILO (chocolate beverages) can be added as it will give some “umph” in the kuih kodok. For your recipe here just add 3 teaspoon full will do and don’t forget some baking powder. Hi, I just tried it. Same as Autumn, it wasn’t soft and mushy inside. Very doughy and tasted more of flour than banana. Also, how much water did you add inside? I used 1/3 of your portion for everything and added less than 100ml water and it was very “battery” and totally unable to be moulded into any shape. Just flat as can be. I love cokodok, thats what my family calls them.. I like them soft but not flat looking, maybe a bit rounder in shape, and slightly dark brown in colour (We fry them a little longer). I would always take like one or two handsful of cokodok in a bowl and have it while watching tv.. Yet I still want more! Crazy isnt it? A cokodok maniac haha.. Your photos makes my mouth water already.. Thanks for the recipe Rasa Malaysia, I added 1 teaspoon baking power according to Nina and some Milo according to LSK,they turn out really yummy, thank you for sharing Nina and LSK ! I think you mean one half cup of flour and one half tablespoon of sugar not one and a balf cups and and one and a half tablespoons of sugar? We just made it and it was far too doughy and sweet. Confusingly written I think. Hi Sue, the recipe says: 1/2 cup flour, 1/2 tablespoon sugar, the sugar is very little. I think the ingredients and quantities are listed out very clearly and there shouldn’t be any confusion.